Encapsulation cleaning is a relatively new concept in the carpet cleaning world which utilises advanced technology in order to remove the dirt from the carpet without using copious amounts of water. Encapsulation is a very low moisture cleaning system which uses about 1/8th of the cleaning solution used previously in conventional extraction cleaning. The polymers in the cleaning solution work like tiny sponges in attracting dirt and then encapsulating them which then makes them easier to remove by vacuum cleaning once the carpet is dry. The cleaning product used also contains a carpet protector similar to Scotchgard which gives the carpet an enhanced appearance and helps to protect it from further soiling. Why is it so Effective on Bowling Green Carpets ? Indoor bowling carpets are made from woven polypropylene and as a result of constant foot traffic on them build up a static charge which is why you often get static shocks when you hand someone the jack or touch the scoreboard. Due to the carpets static nature, it will attract airborne dust and together with the dirt ingressed onto the green from the surrounds will try and hold onto this dirt through static retention. The contra rotating brushes of the cleaning machine results in the encapsulation solution being able to penetrate the mid and lower levels of the carpet and a resultant deep clean is achieved without the need for vast amounts of water. 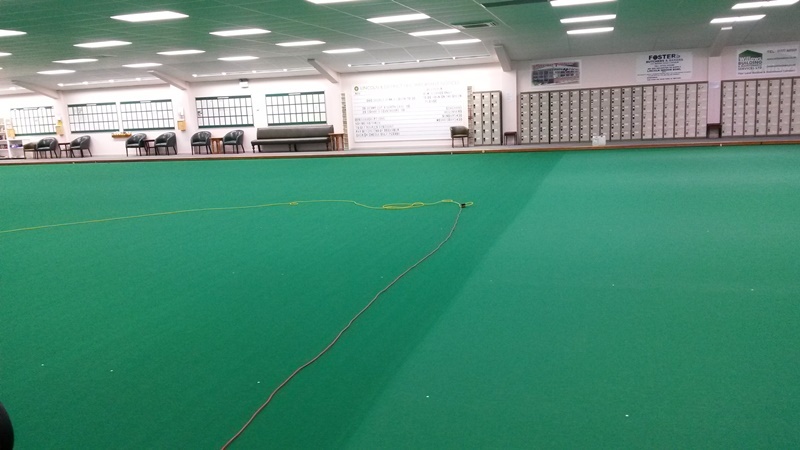 The encapsulation process, where a water based solution is finely sprayed onto the green has the effect of eradicating the static charge in the carpet, which then allows for the ‘encapsulated’ dirt to be removed more easily from the carpet once it is dry. The encapsulation cleaning system has been designed to give clubs a deep clean of the carpet with a minimum of downtime or closure of the green. 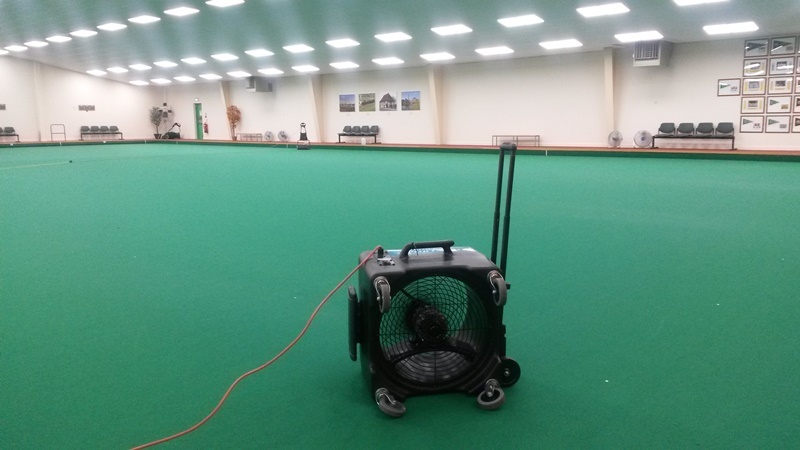 We use industrial air blowers to assist the drying process so that rink revenue so vital to clubs is kept to a bare minimum. 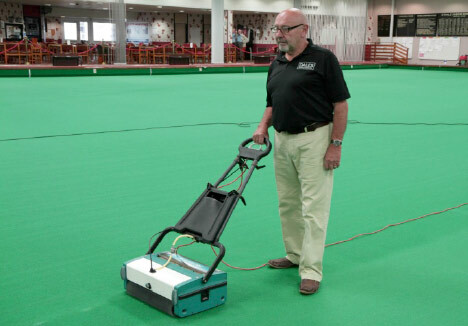 We are happy to start cleans at whatever time suits the club so as an example if we were to make an early enough start in the morning, the club may only lose one session of bowling. HOW MUCH DIRT DOES IT REMOVE ? On average this is what you can expect to see released from a six rink following an encapsulation clean. The encapsulation system has several advantages over conventional wet cleaning systems. 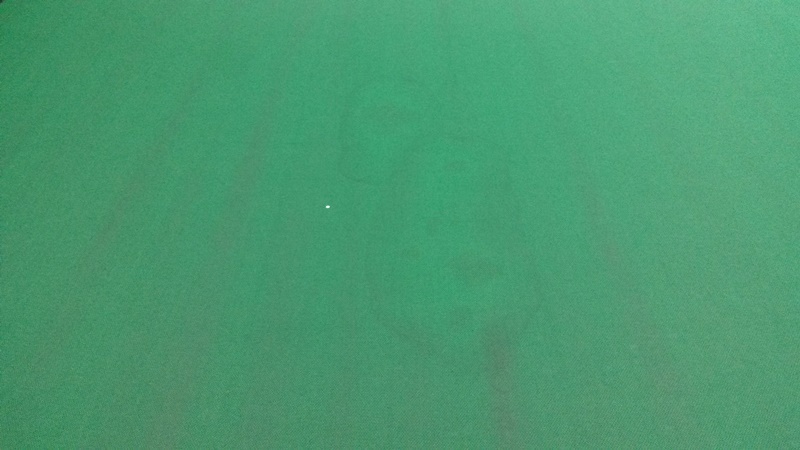 Green looks better and is much cleaner than using an extraction process that tends to draw the dirt trapped underneath the carpet to the upper level. Life expectancy of the carpet is enhanced as the encapsulation product contains anti soiling properties which prevents the further build up of dirt if regular vacuum cleaning is introduced. Downtime of the green is reduced so that the loss of revenue from rink fees is reduced. From start to finish a six rink green can be cleaned in about 5 hours and the green is ready to bowl on again in a further hour. The green is disinfected and de-odorised with a pleasant natural orange fragrance. The playing surface is left with a carpet protector which resists further soiling and staining. IMPROVED SPEED OF THE GREEN......FACT OR FICTION ? The general consensus from the 50 or so clubs who have had this cleaning process is that there is a noticeable increase in the speed of the green. 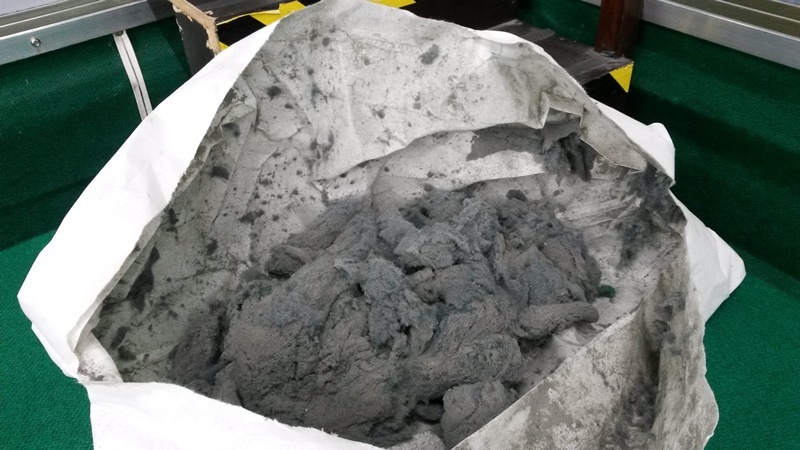 At Camberley recently where they have a bowls chute, speed tests were done before and after the encapsulation cleaning process to establish whether this was fact or fiction. The results were quite remarkable with a bowl travelling a further 1.5 metres on a full length which equates to just over a second quicker. How long this increase in pace last for is questionable and my own personal thoughts on this is that the green is quicker partly because it is cleaner and partly because the static retention has been removed from the carpet for a while. If your carpet is not maintained by Dales Sports and you would like to know more about the process and how it can maximise the carpet life then please contact me directly using the 'Contact Us' link or by telephoning me on 07785 361960. Previously bowls carpets were cleaned using an extraction process where water is sprayed onto the carpet and then extracted by way of a floor wand or a built in vacuum head on the machine. Typically for a six rink green approximately 150 litres of water would be used which equates to 25 litres per rink compared to the encapsulation process where it equates to 3 litres per rink. Streak lines from the carpet wand as it extracted the slurry through the carpet. The underlay and tape holding it in place were prone to shrinkage.